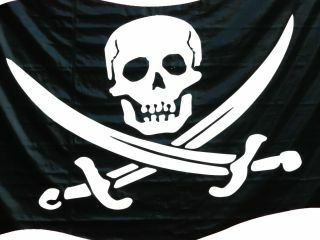 An anti-piracy group has been caught red-handed trying to ensnare would-be movie pirates by setting up a phoney P2P film sharing website. The curiously-titled miivi.com was set up by Media Defender , a bloodhound organisation which works for the Motion Picture Association of America (MPAA) to combat piracy. The spurious Miivi sharing site promised completed movie downloads, and offered user registrations, forums and even a 'family filter'. "Get fast and easy video downloading all in one great site," read the site's front page. The site has been taken down now so it's impossible to verify some of this information, but apparently the site offered a download client. And once the client was installed on your computer, it would search your hard disk for other copyrighted movies and then report back to Media Defender. Clever; but as it turns out, not quite clever enough. Not long after the site was set up, Miivi was found to be registered to Media Defender by suspicious movie sharers using a very basic and freely available domain registration search tool. The registration was altered soon after it was discovered. But the company address was still that of Media Defender HQ in Santa Monica, California. Ten hours later, the site was taken down and has not reappeared since. It just goes to show that the powers that be are thinking up many new and clever ways to catch out movie pirates these days. It's just a pity for Media Defender and the MPAA that they weren't quite clever enough to do something as basic as to register the bogus website under a different name.